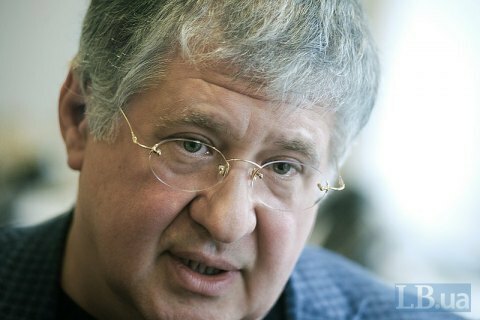 The tycoon filed another libel suit in Odesa. Odesa's Kyivskyy district court on 4 January opened proceedings on the defamation lawsuit filed by Ihor Kolomoyskyy and as an interim measure blocked the conduct of the forensic audit in Privatbank that he earlier owned. The FinBalancefirm, law firm Hogan Lovells International LLP, consulting firm Asters Consult, and consulting firm AlixPartners Services UK LLP. website reported that Kolomoyskyy is suing Odesa TV station ARS (which is why the case is heard in Odesa), the National Bank of Ukraine, the Ministry of Finance, Privatbank, the detective agency Kroll Associates UK Limited, Asters law firm, Hogan Lovells International LLP law firm, Asters Consult and AlixPartners Services UK LLP consulting firms. These firms were hired as part of an investigation into the withdrawal of funds from Privatbank. However, the Odesa regional court, as an interim measure, forbade them to comply with any provisions of any agreements that are signed with the state and which may affect Kolomoyskyy or his interests. The state, in turn, is prohibited from paying for the services of hired companies "until the dispute is resolved in essence." All entities involved in the suit are prohibited from performing any actions using Kolomoyskyy's personal data in any documents in Ukraine and abroad, transferring them to others, and collecting, copying and distributing any documents that contain this data. In mid-December 2017, Kyiv's Solomyanskyy district court granted a similar solicitation by Kolomoyskyy. Later, one of the defendants in the case overturned interim measures in the same court. Ukrainian authorities believe that the Solomyanskyy court's decision invalidated the blocking of Privatbank's forensic audit.